Cities consist of many communities tied together by proximity, infrastructure and networks. But what happens when some communities are overlooked, when neighborhoods are gentrifying or otherwise going through changes that may not necessarily be in everyone's best interest? How do you prevent this from happening — or how do you deal with it when it does? Urban development projects naturally require many stakeholders, given the variables of population, density, diversity and politics. Place-based philanthropy can ensure the sustainability of these efforts by providing long-term strategy, mobilizing patient capital and connecting funders with grassroots community leaders. 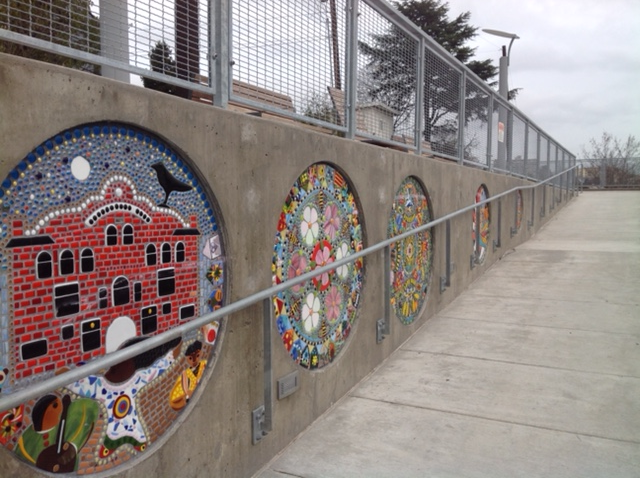 In the Pacific Northwest, I recently visited three extraordinary urban sustainability projects that demonstrate the power of place-based philanthropy as a convener and catalyst: Yesler Terrace in Seattle, Living Cully in Portland and the Puyallup Watershed Initiative in greater Tacoma. Each of these projects involves significant philanthropic support, multiple stakeholder collaborations and most importantly, an emphasis on community democracy. They each have very different histories, reflecting their scale, geography and populations — yet across the board, they demonstrate core values of environmental sustainability, multicultural awareness and civic engagement. It will be some years before we can measure the full impact of these three community investments — but the results so far are promising. Yesler Terrace was originally developed in the early 1940s by the Seattle Housing Authority as the region’s first affordable housing development and one of the first racially integrated projects in the country. Seventy years later, most of the units needed extensive repairs. After comprehensive consultation with residents, neighbors, city officials, philanthropic organizations and local businesses — including major investments by the U.S. Department of Housing and Urban Development, the City of Seattle, JPMorgan Chase and Seattle Foundation — a vision for a model community emerged. Even in the midst of ongoing construction scheduled to take place over the next five years, many community initiatives are already in place. On a recent tour, I learned about the mixed-income housing, sustainable energy features, community gathering places, highly diverse residents — 17 languages are spoken! 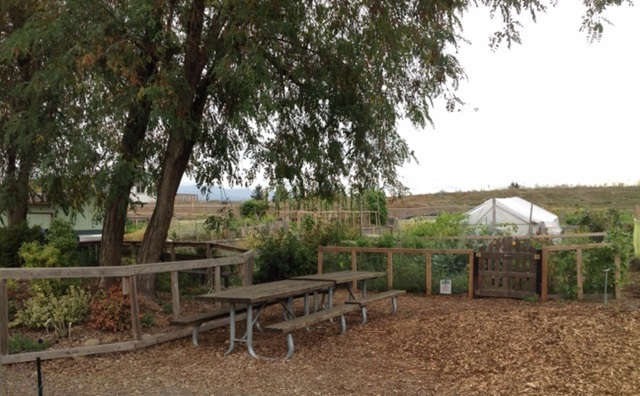 — youth media lab, the hill climb that connects Yesler Terrace to the International District, parks, community garden plots and dozens of other interesting features. The project was inspired by four core values: social equity, economic opportunity, environmental stewardship and sustainability. That vision further catalyzed a growing group of essential collaborators, including Seattle University, Neighborcare Health, private developers, the Yesler Community Collaborative and local employers. The long-term investment of the Seattle Housing Authority spurred additional partnerships; because SHA owned the Yesler land, purchased with federal and local taxpayer money way back in the 1940s, it could parlay that ownership into sales of select lots to private developers — allowing SHA to rebuild and expand low-income housing and provide an array of support services. The project’s success comes down to a shared idea that a sustainable community creates opportunities for its residents. With Yesler, this is evident in four approaches — education, jobs, health, and social networks — including “cradle to college” educational support, participation in a Workforce Opportunity System, an emphasis on community health education, and a full-time community builder who helps the residents develop affinity groups and social networks. Kerry Coughlin, SHA communications director, credits Yesler's promise to “combination of social capital and policy initiatives, marked by good planning and resource development.” She’s most excited about the effective relocation efforts that have allowed long-time residents to move straight from the old housing into newly constructed buildings, or get temporary housing elsewhere and then move back to Yesler when the new apartments are constructed. Living Cully launched in 2010 as a collaboration between four anti-poverty organizations: Habitat for Humanity Portland/Metro East, the Hacienda Community Development Corporation, the Native American Youth and Family Center and Verde. The project aims to promote sustainable economic development in Cully, a highly diverse, low-income neighborhood in northeast Portland with an interesting mix of rural features, sparse commercial development and low household incomes. All four Living Cully Partners serve communities facing great disparities: families at risk for homelessness, cultural communities and low-income workers. They live in places that lack economic opportunity, suffer poor environmental conditions and lack resources to create a just and sustainable neighborhood. At the same time, they have a tremendous drive to build a better future for their children, families and neighborhoods. During my recent visit, I met with Anna Gordon, Living Cully's communications/outreach coordinator and Cameron Herrington, the project's anti-displacement coordinator, about the great variety of Living Cully initiatives. In our discussion about how to thread the needle between improving the quality of life for residents and accelerating gentrification, they emphasized the importance of community-based participation in crafting affordable housing policy, to better understand the needs of residents and to engage them in the policy development process. Their goals are to assist families with increasing income, improving job stability, keeping jobs in the neighborhood and keeping people in the neighborhood. They also stressed the need for an environmental participation strategy based on economic opportunities, while inspired by outreach and advocacy at the grassroots level. “When enterprise and advocacy work together, we are able to articulate a very clear business and jobs strategy to a funder, for both environmental improvement and economic benefit,” concluded Alan Hipólito, Verde executive director. The Puyallup Watershed Initiative aspires to implement environmental sustainability initiatives on a region-wide, watershed level scale. Like the other projects, it has a clear emphasis on community-based engagement and civic participation. The watershed ranges from Tacoma on the shores of the Puget Sound to the foothills of Mount Rainier. The project integrates forests and farmlands with towns and cities, acknowledging that environmental quality and economic opportunity requires the coordination of both rural and urban landscapes. The original plan, based on widespread community input and funded by a 10-year multi-million dollar grant from The Russell Family Foundation, organized six “communities of interest” — Active Transportation, Agriculture, Environmental Education, Forests, Just and Healthy Food System, and Industrial Stormwater — involving more than 100 organizations. This is a very ambitious project, and it revolves around a uniquely compelling experiment in community democracy. The Russell Family Foundation’s vision is to delegate all aspects of decision-making, funding and administration to a board of directors consisting of community stakeholders, which will become the grantmaking body for the project. The process of recruiting board members, developing policies and priorities, and engaging local partners is a wonderful experiment in public education, organizational process, good governance and community investment. Meanwhile, the initiative's communities of interest have been active on the ground, organizing a copious body of exciting projects. The Active Transportation group is working with Pierce County Parks to utilize park impact fees (raising $19 million) as a way to support a Tahoma-to-Tacoma trail network and a Safe Routes to School program. Agriculture is working with a farmer’s advisory council to make it easier for developers and the county to support farmland conservation strategies, raising $8 million through a U.S. Department of Agriculture grant. Just and Healthy Foods is establishing an equity lens to better understand food distribution networks, reaching different demographic groups via social media. Industrial Stormwater is making strides working with small businesses and diverse economic sectors in demystifying the permitting process. Forests is working to increase urban tree canopy in the region. Environmental Education is working in K-12 schools, initiating dialogues and best teaching practices for environmental learning. All six communities of interest emphasize diversity, inclusion, and participation, stressing economic well-being and the development of social capital in service of long-term environmental quality. And they are all partnering with local universities, business, and grassroots advocacy groups. The community empowerment process is embedded both in board development and active hands-on, impactful projects. In our recent conversation, Henry Izumizaki, The Russell Family Foundation's strategic director, noted that “first and foremost is the development of people, observing their self-organization, supporting the bottom-up evolution of decision-making structures, changing the very essence of grantmaking philosophy.” Program Associate Jennifer Chang added that this has been very challenging work, with extraordinary rewards. “We constantly have to monitor whether we are sufficiently clear in our objectives, whether we communicate well with all of our stakeholder groups, and to make sure that we keep everyone connected to the larger initiative," she said. In a recent article for The Nation, Benjamin Barber, a distinguished senior fellow at Fordham School of Law’s Urban Consortium, makes the case that cities have a unique ability to promote sustainability, immigrant rights and tolerance for diversity — defining their relationship to the planet "in terms of cooperation rather than rivalry, networking rather than independence." He lay the foundation for this argument in his 2013 book, If Mayors Ruled the World, observing that cities can be politically effective in ways that nation-states can’t, by emphasizing service delivery and utility rather than ideology. 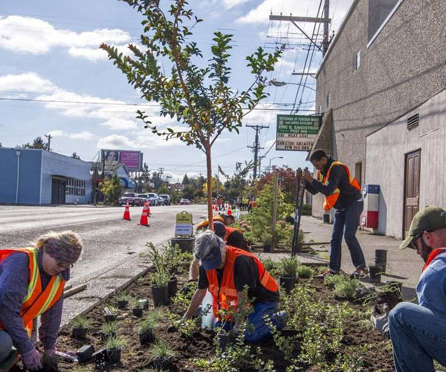 These three projects — Yesler Terrace, Living Cully, and Puyallup Watershed Initiative — are the tangible examples of Barber’s challenge. They emphasize cooperation, networking, education, and most importantly, a belief that community change occurs when you invest in the people who live in those communities. In the Northwest, we are fortunate to have these and other great examples of place-based urban sustainability projects that are receiving philanthropic support. And it’s inspiring to know that Philanthropy Northwest member foundations have played such an instrumental role by investing in the people and organization who make these projects possible. The place-based approach to philanthropy is significant because it identifies local community members and organizations that are committed to the long-term quality of life in their neighborhoods. Community affiliation begins with commitment to place. There are projects like these, each unique in their own way, moving forward in cities all across America —and they have counterparts in rural communities, too. I will cover some of those in my next report. Mitchell Thomashow is one of Philanthropy Northwest's Catalyst Fellows, focused on sustainability and working on a monograph about our region's sustainability projects. His next blog post will share place-based sustainability project examples from rural communities.